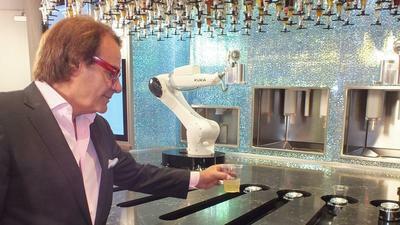 The Rise of the Robot Bartenders – They Only Want to Make You Moscow Mules. For Now. 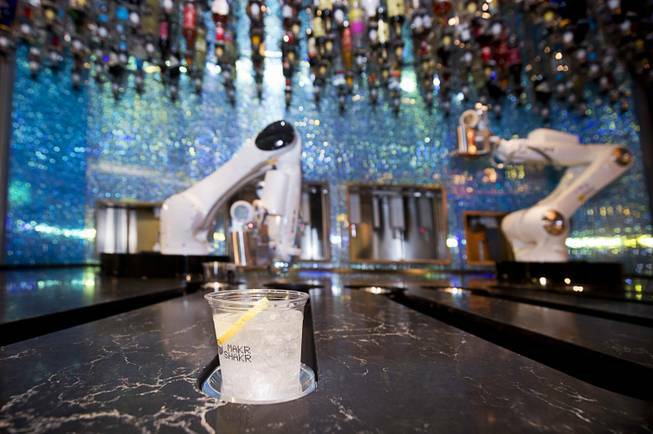 There’s now a cocktail bar with robot bartenders in Las Vegas. 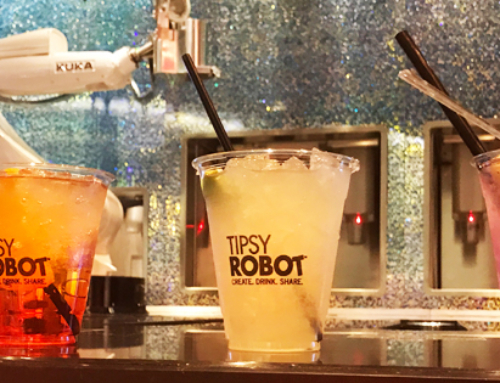 It’s called the Tipsy Robot and it opens tomorrow within the Miracle Mile Shops. Now please observe this slideshow. Human bartenders. Psh. Always grilling you about your troubles or refusing to acknowledge your existence when you want to give them money in exchange for a drink. Fortunately, it doesn’t work that way here. 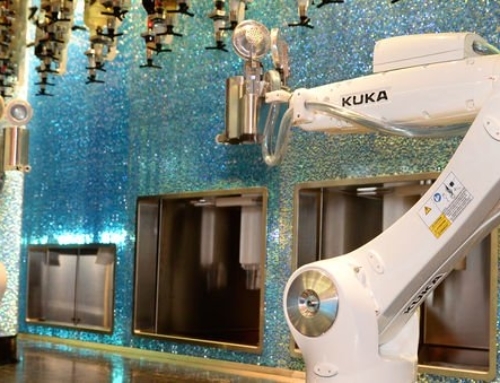 Instead you’ll enter this futuristic, metal-mesh watering hole and find two robotic arms mixing up 18 concoctions. 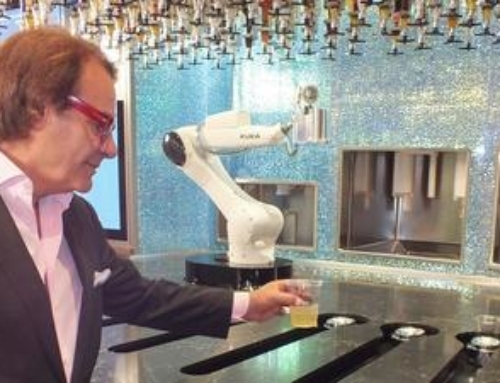 Then you’ll simply order your drink, say a Robo Mule or Galactic Grapefruit (tequila, grapefruit soda water and fresh lime) on a tablet and watch as the arms activate; measuring, shaking, pouring and even garnishing your cocktail. But don’t fret, the robot apocalypse hasn’t started just yet. 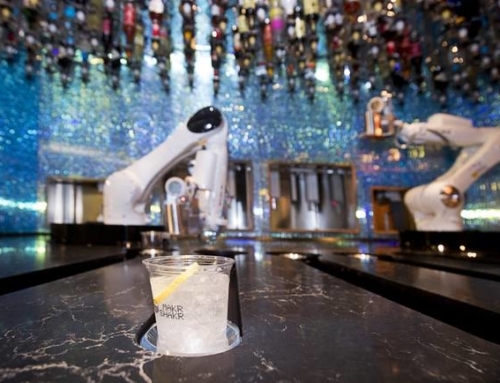 Human counterparts, known as galactic ambassadors, will be working a separate bar. Though that bothersome species still requires tips to function properly.